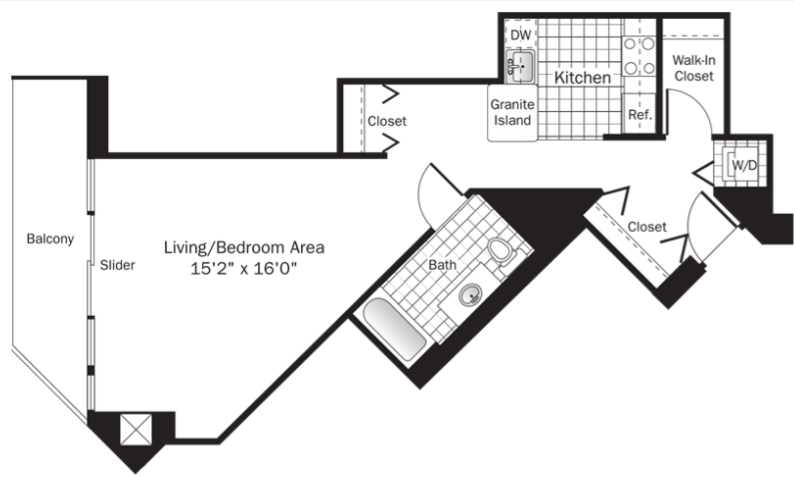 Looking For a Studio Apartment With a Balcony? If you know you want outdoor space but don’t need much indoor space, a studio apartment with a balcony could be the right option for you. However, layouts like that are rare finds. Luckily, we have a few options that could be the perfect fit! 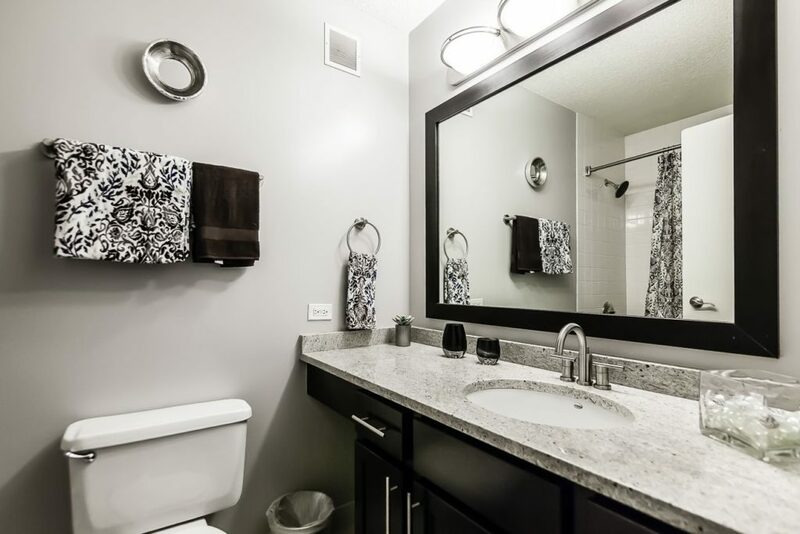 At 690 square feet, this River North studio is more spacious than most one bedroom apartments in the area. It features floor to ceiling windows, stainless appliances, an in-unit washer and dryer, granite countertops, ample closet and storage space, and stainless appliances. Fitness fiends will love the amenities– which include a spacious fitness center with lots of free weights, a lap pool, basketball court, saunas, and last but not least, an outdoor running track. Oversized closets, 24-hour concierge, and the club-like amenities are favorites at these River North apartments. Having company? This building offers a guest suite residents can reserve for out of towners. This River North studio apartment with a balcony is in a prime location. Step out your door into one of the liveliest areas for dining and nightlife. You’ll be less than a block from Whole Foods grocery store and the red line subway. 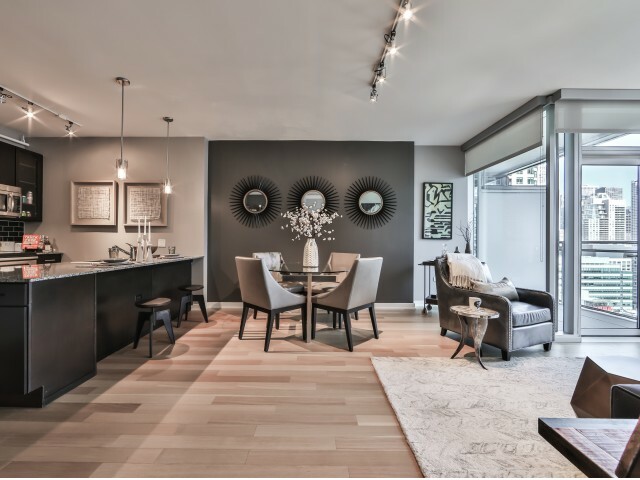 The finishes and appliances at property 10 are sure show stoppers. Come for the all-glass balcony but stay for the bamboo wood flooring, built-in wine rack, 9-foot ceilings, floor-to-ceiling windows, in-unit laundry, and stainless Whirlpool appliances. 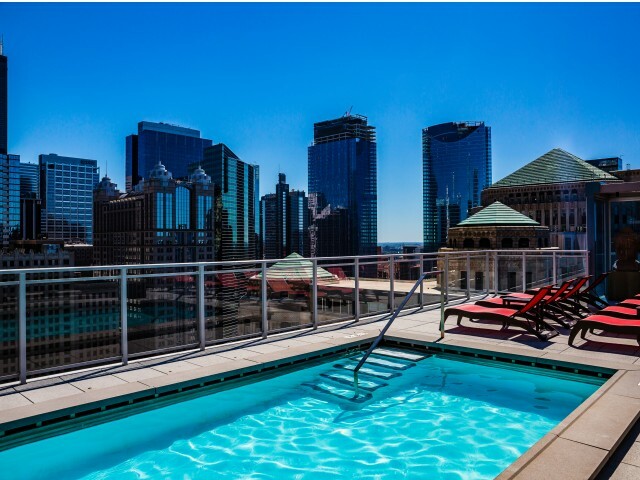 If you’re looking to take in stunning city views in a space a little larger than your balcony, head up to the rooftop pool, which will make you feel like you’re at the chicest of boutique resorts. Residents love the many conveniences this River North high-rise offers, including private wine storage lockers and zip cars. 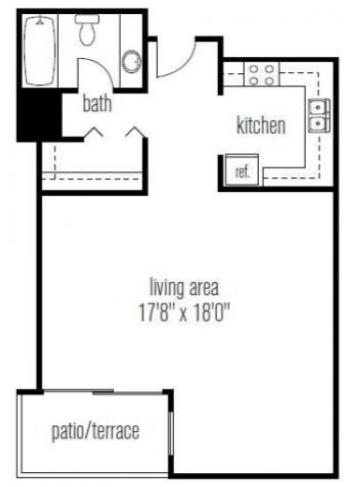 Looking for a studio apartment with a balcony for rent near River North? Contact us today! We’d be happy to keep you in the Loop!